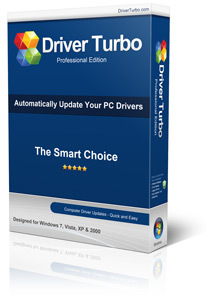 Award-Winning Driver Turbo software gives you access to over 200,000 device drivers instantly. Driver Turbo expertly conducts scans on computer hardware, searches for corrupt, outdated and missing device driver issues, and performs the necessary repairs without any additional user action. Driver Turbo was designed to discover a new level of performance technology, detecting your PC brand and model, the operating system you use, and all the hardware devices connected to your computer with greatest precision. Driver Turbo automatically updates your complete system with the correct drivers that are 100% specific to your computer to ensure maximum performance. Driver Turbo saves the frustration and extensive time investment usually associated with updating drivers manually. Download a free scan version to identify all outdated drivers. Download now. NOTE: Using Driver Turbo will not only save you time and money, it can keep you from installing the wrong driver for your computer. Driver Turbo’s scan technology detects all drivers on your PC and matches them with the latest, most up to date version available. With years of experience in the driver scanning industry, Driver Turbo guarantees to find the correct and most updated driver for each and every device driver on your system. With Driver Turbo, backing-up your drivers has never been easier. The program has a built in wizard feature that allows you to make a full backup or copy of your existing and downloaded drivers and place them on a media device, such as CD, USB flash drive, DVD drive and others. Not only will Driver Turbo save you time and frustration, but it will update your complete system with the correct drivers that are 100% specific to your computer faster than you ever thought. 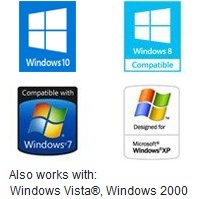 Driver Turbo keeps you from installing the wrong driver for your computer and downloads new drivers as they become available from the manufacturer. You don’t have to be an expert using Driver Turbo. Downloading and updating drivers just got easier with Driver Turbo’s friendly interface using an advanced technology. With the touch of a button, all your drivers are updated within seconds. Driver Turbo is 100% safe, easy to use and reliable. A massive database with more than 200,000 device drivers was launched to assure you get the latest, most updated drivers for your computer and connected devices. Because Driver Turbo supports such a massive range of devices, it is the best way to get driver updates regularly. Driver Turbo is dedicated to providing the best customer satisfaction for our software product. Our main focus is to provide you with the necessary tools to help you get your driver issues fixed immediately. Driver Turbo offers free technical support from a team of experts who helped develop the product! 24-hour turnaround time. Should you have any questions, please do not hesitate to our customer service team. We are here to help! – Open a support ticket.